The petal of a flower gently folded on itself is the inspiration for this unusual seat. 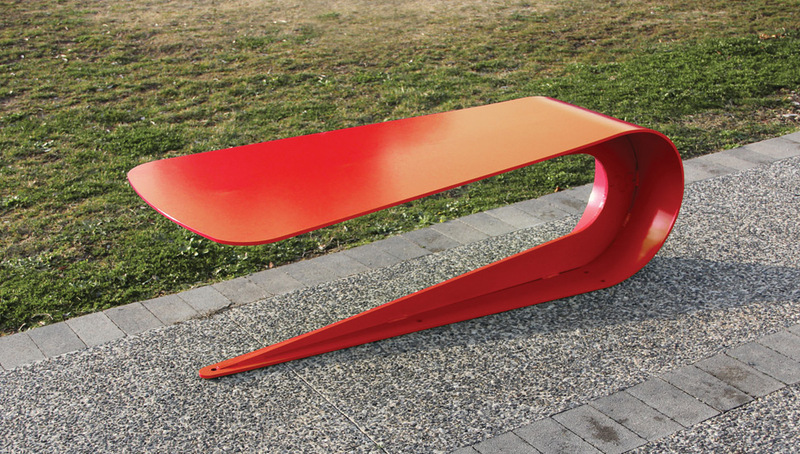 Its shape is obtained folding a laser-cut steel plate, then reinforced with a steel structural element running below the seat. The particular “clove” shape allows to design several multiple modular configurations.